Opticron MM3 50 GA ED Travelscope W/ Smart Phone Adapter. Do you see what I see? Well, I guess that depends on if you have the same caliber of optics I do. Sure all the brands and all the models will help you see far better than you can with your naked eye. The unavoidable truth is that some do it better than others. Well, allow me to introduce you to Opticron. Opticron is a family owned company from the UK and has been producing quality optics for over 40 years. They are a very recognizable name in Europe and are gaining momentum her in the US. 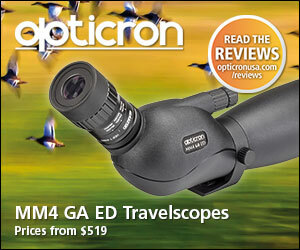 Opticron has solidified itself as a big name in the birdwatching world. 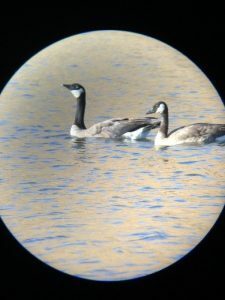 So, what do bird watchers know about optics? As it turns out much more than you might have ever guessed. The birder world is much larger than some believe and these guys can be picky. Opticron knows this and it stands to reason that if they can make it in the birdwatching world they can make it anywhere. They too insist on attention to detail. It’s that detail you look for when glassing the open hillsides for game. That absolutely necessary light transfer that you require at peak scouting and hunting times. In the end it all translates to the same burning need. High quality optics at an affordable price. While working on a backcountry tripod review I was turned on to Opticron. After a few phone calls to the USA based office I worked out a set of binoculars and a spotting scope to be sent my way for review. 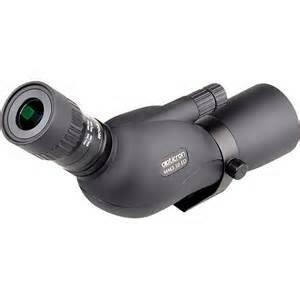 Opticron has a verity of products to choose from with prices to fit any need. I settled with the MM3 50 GA ED Travelscope with the HDF T Eyepiece in 12-36 power magnification. Though this scope also comes in a 60mm version I chose the MM3 50mm as it best suited my need for a backcountry spotter that is relatively lightweight and small enough to fit into any pack. The combination was going to make for some very interesting preseason scouting. When the package arrived at my house it was like Christmas morning. I also arranged for Opticron to send me the iPhone attachment for the MM3 allowing me to take photographs through the scope. 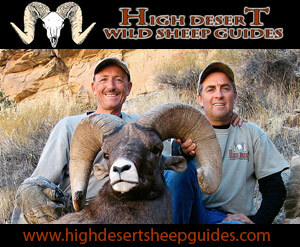 This is a great tool while scouting to help keep track of the animals you are watching. It also allows you to catch some great scenery photos on occasion. The last item that was to be sent was the optional protective case for the MM3. When you are taking quality optics into the hills it pays to have them protected. The protection sleeve was a no brainer addition. The thing I love most about optics is that they are not stuck in one place. 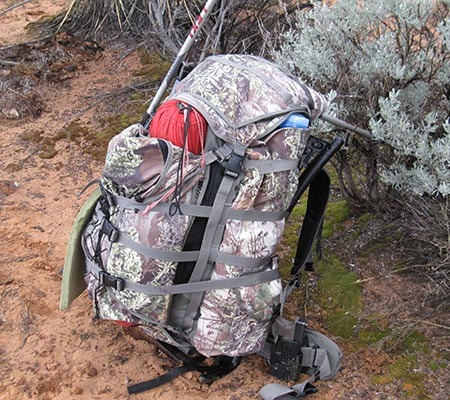 They are not like your hunting pack that only really has its place in the field. Optics can go with you anywhere and be useful for so much more than just hunting. I had the opportunity to take my Opticron products with me on a family camping trip. While the focus of the trip was on swimming and just hanging out with the family I was not going to pass up an opportunity to continue my testing. Our site was in a very nice and calm area that I could really take time to get to know the scope and the accessories. As luck would have it there was a resident family of Canada geese that proved to be very good subjects for some iPhone attachment photographs. Fun as my camping trip was the deer season was soon to be upon me and it was really time to get out there and do some more scouting. The MM3 was proving to be a great little scope. The 50mm objective had me worried that it would not perform well in low light situations. Well, all that worry was for not. The MM3 has HD multi coated glass that produces a very sharp picture even in low light. The focusing system on this scope is simply fantastic! The 8:1 dual focusing system has a large main focusing knob and at the end there is a smaller ring that allows for fine tune adjustment. What this means is that it can really clear up the image far past the point of many other scopes. If you are hunting in areas that have point restrictions this can really be a life saver. The adjustable tripod mounting ring allows the scope to pivot while still connected to the tripod. This is useful in areas of uneven terrain or from a window mount. 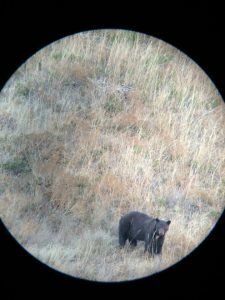 I found the eye relief of this scope to be fantastic and I was easily able to acquire a full picture and find animals quickly within the scope. As I said above the focus on this scope is fantastic allowing for very fine adjustments. The HD glass really does set itself apart. I found that this scope is very user friendly and consistently offers a clear sight picture. I was also very impressed with how easily the magnification adjustment turns. This is a refreshing feature as magnification is often adjusted when following animals and this smooth transition between powers allows you to adjust without losing sight picture. 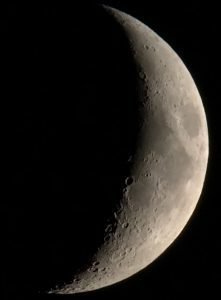 The iPhone scope attachment fit nicely and I was able to take some decent photographs with it. It was slightly challenging trying to work with the subpar camera on the iPhone 5S but that has nothing to do with Opticron. I want to note that care must be used when taking the phone in and out of the adapter as I managed to break a small piece off mine the first time I used it. It was still functional but less stable than before. A quick call to Opticron however and a new one was on the way. Good customer service is always appreciated. The adapter allows for quick attachment and nearly full F.O.V. I snapped this photo of the moon while out scouting. And here is another of a great black bear moments before it ran off into the brush. I found the fabric case to be a bit awkward. It preforms as advertised and is functional but for me there was a bit of a break in period. It does the job that it was intended for so I cannot say anything bad about it. I will use it when placing the scope in and out of a pack as that can take a toll on the rubber coating. In the end the MM3 50 GA ED Travelscope proved to be a great scope that will be a very good addition to my backcountry needs. Don’t be fooled by its small size as it is surly a contender with all the top of the line scopes on the market today. Go check out http://opticronusa.com/Pages/mm3_scope.html to see more. The MM3 50 GA ED Travelscope is great. I don’t have any real complaints about the scope at all. The only thing I would like to see is a slightly better warranty. Opticron’s warranty is for the Premier Products such as the MM3 is much better than the standardwarranty. Premier Products also come with a 5 year “No Fault” Check it out here- http://www.opticronusa.com/Pages/warranties.htm. With many of the major companieschanging to “LIFETIME No-Fault warranties” I see the “Limited” as a caution to perspective buyers. The warranty is transferable and that is a very nice feature. What really matters is that this scope produces a clean clear picture even in low light. I trulyfeel this would be a great addition to any outdoorsman’s collection. The iPhone attachment could use some work as it seems fragile. The opening on the side for volume control is unnecessary and creates a weak point. However, the attachment does a great jobof lining up the camera and scope and can produce some really good pictures. The optional fabric case is a bit pricy but is useful for protection. It would really be a buyer’s choice situation as I do not believe it is a necessity. I would like to say againthat the MM3 50 GA ED Travelscope is a great scope and I can see no real room for improvement. 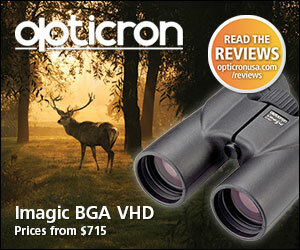 I would strongly recommend taking a look at this scope and OpticronUSA.